Men love soft, silky long hair. Here are a few do it yourself tips to keep your hair soft and to make it irresistable to men. First of all, men love long hair. Secondly, do not over process the hair as this makes it break and brittle. Thirdly, go for a more natural color tint closer to your natural color, and keep hair uber conditioned. Here are a few DIY (do it yourself) ingredients you can try out. 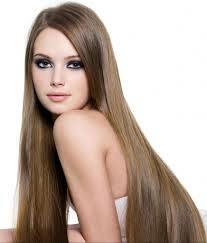 First, is extra virgin olive oil which is well-known for coating your hair and making it more elastic and softer. Another oil to try is 100% almond oil, which can add shine and make her more manageable. Next is coconut oil which will help hydrate your hair and tame frizz. Now another ingredient, is mayonnaise. You have to try it yourself. It actually has eggs in it so will add protein and help make it soft. Organic apple cider vinegar is the best for rinsing off these oils. If you do not rinse them out thoroughly your hair can become greasy and tacky. Apple cider vinegar is therefore great for rinsing these DIY conditioners out of the hair. Try these two recipe variations, to see which works best for you. Apply to hair strands, and don’t let too much to the roots, work hair through middle and to ends. You can leave on, and wrap hair in a towel or sit in a bath. Once you confirm that this mixture does not irritate your skin or hair, you can leave anywhere from 15 minutes to 2 hours. Now, spray in the rinse mixture. You can leave the apple cider vinegar you sprayed into your hair in for as long as 30 minutes provided it does not irritate you. This will really get the oils cleared so they don’t leave your hair greasy. You must rinse these mixtures out thoroughly otherwise you hair will wind up gummy and oily. Put the rinse mixture in a large spray bottle so you can get it in everywhere in your hair for a really good rinse. For the deep treatment it is easiest to mix in a bowl then put in an application container such as an empty shampoo bottle, plastic ketchup bottle, or dye application bottle from the beauty supply store. This makes it easier to apply than dumping right from the mixing bowl to the hair. Buy an application container to mix the diy mixture and shake it up in, to make it more like a regular conditioner. For the rinse, mix equal parts apple cider vinegar and water into a good spray bottle so you can really get it into all of your stands. Your hair should be soft, silky and touchable after this. Complete the process by shampooing and conditioning once more with a fresh fragrant smelling shampoo/conditioner so that your hair smells absolutely terrific. Men just love, love, love, soft, natural healthy hair that smells clean and fresh. Men will go crazy for your hair!